What colour of this dress is? Some say it is white with gold pattern, the other say it is blue with black pattern. However, the real colour of that dress is whitish blue with gold pattern. If you look carefully at the dress picture from your LED computer screen, try to look the picture from the above side of your computer monitor, it will appear as while-gold. And if you look from the bottom side, you'll see the dress in dark blue - black. Or you can simply tilt your phone up and down to see differences. Tilting method will not work with a high PPI display such as Retina display from iPhone and iPad. Receptors in your eyes can also the problem why are there such differences of opinion. If you see a very bright light then immediately see at this dress picture, you will see the dress in dark blue - black pattern. Vice versa, if you rest your eyes by looking at the object with dimmed light, the dress will appear brighter to your eyes, from bluish white (the actual colour) to white depends on how rested your eyes are. Colour differentiation may also happen when you shrink your eyes, the dress will appear in darker colour. 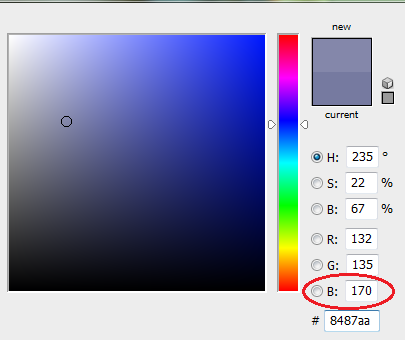 And conversely it will appear brighter close to white if you enlarge your eyes. The lights of your surroundings may also change your perception of the colour. Have your own explanation? Let us know. 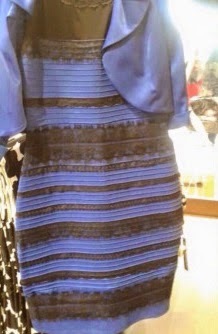 No response yet to "Explanations of Viral White-Gold & Blue-Black Dress Mystery"